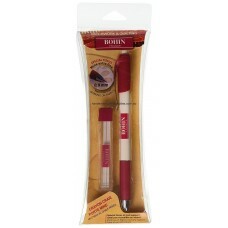 Bohin mechanical pencil comes with fine 0.9mm ceramic lead in white. 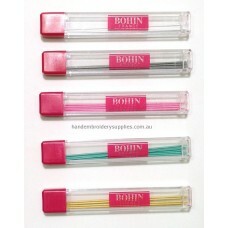 Different coloured lead is avai..
Bohin 3 in 1 mechanical ceramic pencil with very fine 0.9mm leads in black, white and pink. Always t.. 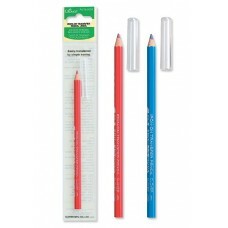 Very fine 0.9mm ceramic lead refills for your Bohin Mechanical pencil. 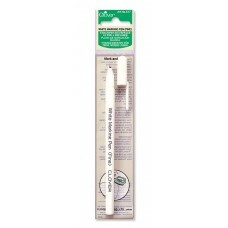 Available in White, Grey, Pin..
Clover Air Erasable Marker with an extra fine durable tip for precise results. 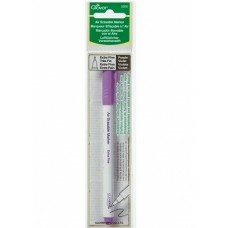 The markings naturall..
Clover air erasable markers are great for planning sewing projects and on light and dark fabrics; gi..
Five Chacopy tracing papers for use with Tracing Wheels or Tracing Pens. 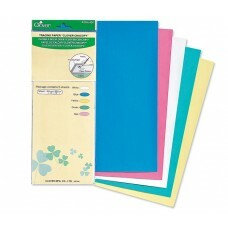 1 sheet each of Blue, Green.. 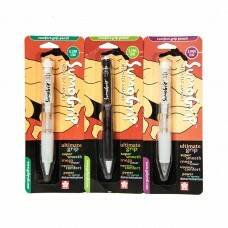 Transfer your designs easily with the help of Iron-on Transfer Pencils. Place the tracing paper on t..
Clover Mesh Transfer Canvas is used for transferring designs to patchwork quilting, sewing, applique.. 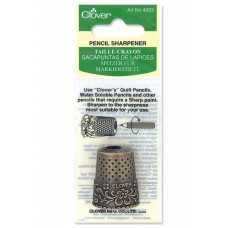 The Clover Pencil Sharpener is designed to work with Clover's Quilt Pencils, Water Soluble Pencils a..
Quilting Pencils are perfect for marking on fabric. 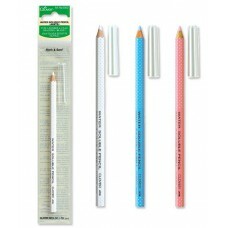 These pencils offer a chalk based material which..
Clover's Water Soluble Markers are excellent for marking fine marks on fabric. 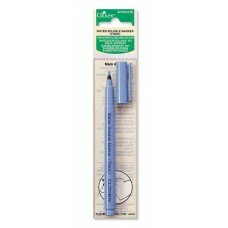 Markings are quickly..
Clover Chacopen in blue is water erasable and comes with a convenient 'Eraser Pen' for immediate era..
Clover's Water Soluble Markers are excellent for making fine marks on fabric. Markings are quickly r..
Mark & Sew! 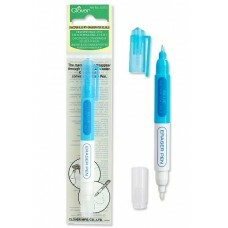 What makes Clover Water Soluble Pencil useful is that it easily wipes off with water. 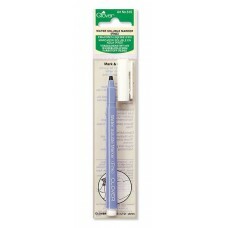 Th..
Clover's White Marker Pen is excellent for easy to see markings on dark coloured fabric. Markings di.. 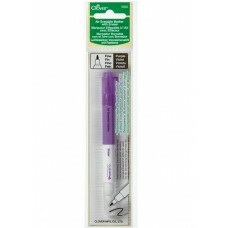 This is EZ Quilting's fine tip air erasable tracing pen. Your tracings will normally disappear withi.. Trace design onto paper, turn paper over and transfer the design from the paper to your fabric with .. 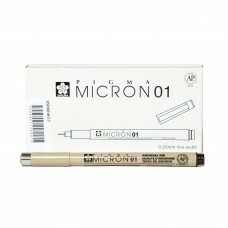 Excellent quality Pigma Micron 01 pens by Sakura are a great tool for tracing embroidery designs ont..
Reduce hand fatigue when tracing designs with these pencils, as they are the ultimate in comfort. 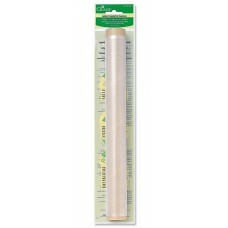 1 ..
Tracing Paper by Hemline for tracing Applique and Embroidery designs and for pattern making and draf..